Home›Industry News›How recycling soil can save money and the environment. How recycling soil can save money and the environment. SoilCyler, which recycles topsoil, has released a guide outlining the benefits of recycling key elements such as soil. SoilCycler managing director Alison Price says there is a growing trend among developers to adopt processes that use the site’s natural resources. Traditionally this was an expensive process, where civil or earth moving contractors came in and stripped off the topsoil, trucked it away and then paid to truck back different soil when it was needed. “This creates more heavy traffic on the roads, disrupts the ecosystem and leaves an inferior topsoil behind,” says Alison. “We do things a little differently and turn the process on its head, firstly by engaging soil scientists to map out the soil, before it’s stockpiled at the start of the process for landscapers to use at the end. According to SoilCycler, recycling topsoil is half the price of importing topsoil ($28 per m3 compared to $14-$15 per m3), ensures better quality soil, preserves the local ecosystem and is better for the environment as there are less heavy trucks going back and forth. Alison says Stockland’s Aura project is an example of these benefits. The Sunshine Coast development has over 700ha of conservation land and parks, with soil quality maintained thanks to soil recycling. 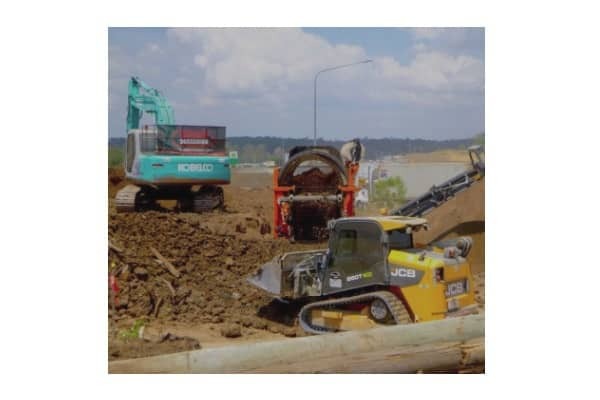 “We’ve been able to preserve the soil quality and help protect the natural habitat for local wildlife including the endangered Wallum froglet, which has previously held up major road projects in Queensland. In simple terms we were able to adapt the soil amelioration and the plantings on the project to suit the frog, ensuring the soil retained its acidity and there wasn’t a change to its ecosystem,” says Alison.